For the past two years, this painter has been interested in various artistic media, and he combines photography with digital images to produce collages on computer screens. 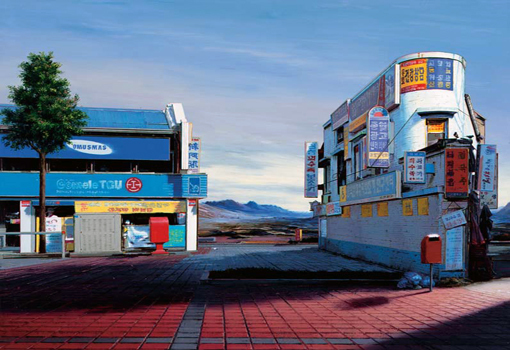 In further exploring this aesthetic concept, he transforms these images through techniques such as painting or drawing. The artist studied Fine Arts at the ENSBA in Paris and at the Hochschule fuer Kunst und Design Halle, Burg Giebichenstein, Germany. He received his MFA from the Ecole Nationale SupÈrieure des Beaux Arts, Paris, France. The artist currently lives and works in Berlin.